Beautiful female acapella by Betsabé - Oh So Girly! 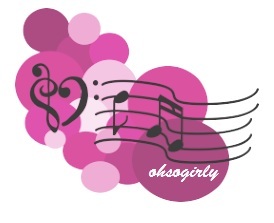 ohsogirly.com is all about showcasing beautiful girly things and that also includes beautiful things made by girls. Today I discovered the music of 18 year old female vocalist, Betsabé which certainly falls into the latter category! Betsabe, te felicito, tenes una amplia vision para hacer diferentes cosas, variedad, estilo, profesionalismo…segui adelante, me queda la duda si es obra tuya o de tu mama. Para cualquiera de las dos. FELICITACIONES!! !